At Bondi Dental we’re excited about the upcoming holiday festivities–the friends, the gift-giving, and the food of the holiday season. This is a time for spreading love and joy, and that kindness should include a little extra love and kindness for the little friends in our mouth. Our teeth work overtime during the holidays. Which is why, as we count down our advent calendars, and plan our 12 days of Christmas, we need to think about our dental health. To help that thinking, we’re offering you 4 suggestions for dental-healthy advent calendars, and 8 general suggestions to keep your smile shiny and healthy during the holidays. 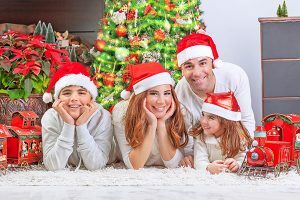 Holiday Activity Fun – For each day of the month come up with a fun holiday activity that you can do together as a family. Write down the activity on a slip of paper and tuck one note into each day of your advent calendar. A Puzzling Treat -Give your child a fun challenge with a customized puzzle. Draw a picture or write a special message on a blank puzzle. Break the pieces apart and place one puzzle piece in each day of your advent calendar. Practice Moderation. Moderation is an important concept that can be hard for kids to grasp. Set a good example by exhibiting balance, especially on your plate. Christmas treats are great, but don’t forget to “indulge” in foods that will help absorb all of that sugar. Be careful with candy. Hard candies can crack your teeth if you bite down on them in the wrong way. If you do have to eat candies, instead of biting, let them dissolve in your mouth. Also, be certain to brush your teeth after eating sugary foods of any kind, and only eat them in moderation, if at all. Cigarettes and alcohol. Even non smokers have been known to have a cigar or two at Christmas time and alcohol consumption generally rises. Both of these increase the risk of gum disease through causing a dry mouth which in turn means that bacteria are not flushed away with saliva as they usually are. Ensuring that you don’t drink or smoke to excess is the best route to take for healthy teeth and gums. Keep Hands Busy – Christmas is traditionally a break for children and adults from school and work commitments. While this is a great time to relax, too much down time can mean overindulging in sweets. Engage family members and friends in games or toys received during the Christmas holiday. Offer sugar-free chewing gum while they play to keep both mouths and hands busy! Watch the wine. If you like a nice red, be mindful of how this can stain your teeth. White wine is less of a risk to your white smile. If you do drink red, do so with food to mitigate how much of it gets on your teeth. Be sure to brush well if you do indulge in reds. Water, water, water! There are times when we feel hungry in which we just need to drink some water to rehydrate. Provide family and friends with plenty of water to help balance out all of the food and to wash away any sticky, sugary residue that might remain on teeth. Offer different natural ways to flavor their ice water, such as peppermint leaves or freshly cut lemon wedges for variety. Don’t forget your Bondi Dental dentist!The holidays can be a busy time, but that doesn’t mean you can forget about your teeth. If you are due for a teeth cleaning or need work done, don’t forget to visit your dentist in December. Bondi Dental is located in the Sydney area, at Bondi Beach. We offer high quality dental preventative, restorative, and cosmetic services for all patients, including children. Bondi Dental offers free parking at the rear of the building. FREE Dental Consultation including a complete dental check-up.